Manafort took 18 trips to Moscow while working for Putin allies. Political guru Paul Manafort took at least 18 trips to Moscow and was in frequent contact with Vladimir Putin’s allies for nearly a decade as a consultant in Russia and Ukraine for oligarchs and pro-Kremlin parties. It was this background that Manafort brought to Donald Trump’s presidential campaign, which he joined in early 2016 and soon led. 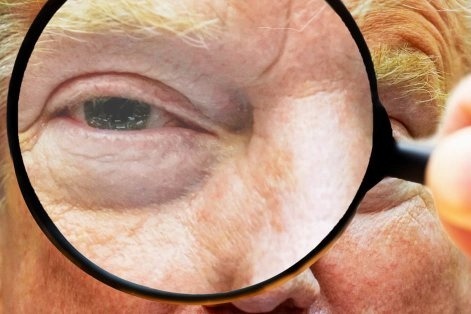 His web of connections to Russia-loyal potentates is now a focus of federal investigators. Manafort’s flight records in and out of Ukraine, which McClatchy obtained from a government source in Kiev, and interviews with more than a dozen people familiar with his activities, including current and former government officials, suggest the links between Trump’s former campaign manager and Russia sympathizers run deeper than previously thought. What’s now known leads some Russia experts to suspect that the Kremlin’s emissaries at times turned Manafort into an asset acting on Russia’s behalf. “You can make a case that all along he …was either working principally for Moscow, or he was trying to play both sides against each other just to maximize his profits,” said Daniel Fried, a former assistant secretary of state who communicated with Manafort during Yanukovych’s reign in President George W. Bush’s second term. “He’s at best got a conflict of interest and at worst is really doing Putin’s bidding,” said Fried, now a fellow with the Atlantic Council. A central question for Justice Department Special Prosecutor Robert Mueller and several congressional committees is whether Manafort, in trying to boost Trump’s underdog campaign, in any way collaborated with Russia’s cyber meddling aimed at improving Trump’s electoral prospects. His lucrative consulting relationships have already led a grand jury convened by Mueller to charge him and an associate with conspiracy, money laundering and other felonies – charges that legal experts say are likely meant to pressure them to cooperate with the wider probe into possible collusion. Government investigators are examining information they’ve received regarding “talks between Russians about using Manafort as part of their broad influence operations during the elections,” a source familiar with the inquiry told McClatchy. Suspicions about Manafort have been fueled by a former British spy’s opposition research on Trump. In a now-famous dossier, former MI6 officer Christopher Steele quoted an ethnic Russian close to Trump as saying that Manafort had managed “a well-developed conspiracy of cooperation” between the campaign and the Kremlin. You can make a case that he …was either working principally for Moscow, or he was trying to play both sides against each other just to maximize his profits. Jason Maloni, a spokesman for Manafort, called that allegation “false,” saying that Manafort “never – ever – worked for the Russian government.” He also denied that Manafort ever recommended Ukrainian opposition to NATO, saying he “was a strong advocate” of closer relations with the western military alliance while advising political parties there. Maloni declined to say whether, while in Moscow, Manafort met with any Russian government officials. The trail of Manafort’s decade of dealings 5,000 miles from America’s capital is murky. But the previously unreported flight records, spanning from late 2004 through 2015, reflect a man seemingly always on the move. Over those years, Manafort visited Ukraine at least 138 times. His trips between Ukraine and Moscow all occurred between 2005 and 2011 and were mostly in 2005 and 2006. Prosecutors have charged that Manafort and associate Rick Gates funneled through a maze of foreign accounts at least $75 million in consulting fees from an array of Kremlin-leaning clients: Russian billionaire Oleg Deripaska, who secretly paid them $10 million annually for several years; a second Ukrainian oligarch; and the ruling Party of Regions, which supported Yanukovych until corruption allegations and bloody protests led to his overthrow in February 2014. The further unmasking of Manafort’s relationship with Deripaska in recent months, however, has heightened suspicions about Manafort. In July 2016, weeks after he was named Trump’s campaign chairman, Manafort crafted an unusual, eyebrow-raising proposal for Deripaska, a member of Putin’s inner circle. In emails first reported by the Washington Post, Manafort offered in seemingly coded language to provide “private briefings” on the U.S. presidential race for the Russian aluminum magnate. Manafort directed a trusted associate, Konstantin Kilimnik, to relay his message to Deripaska, remarking that it could be a way to make himself “whole” — possibly an allusion to a multimillion-dollar legal action Deripaska had filed against Manafort. Kilimnik, a Ukrainian citizen, once attended a Russian military academy known for training spies. Deripaska, who did not respond to a request for comment, has denied seeing Manafort’s proposal and says it went nowhere. Kilimnik did not respond to emailed questions, but he has denied in published reports having any connection to Russian intelligence services. Paul Manafort did not collude with the Russian government to undermine the 2016 election. No amount of wishing and hoping by his political opponents will make this spurious allegation true. 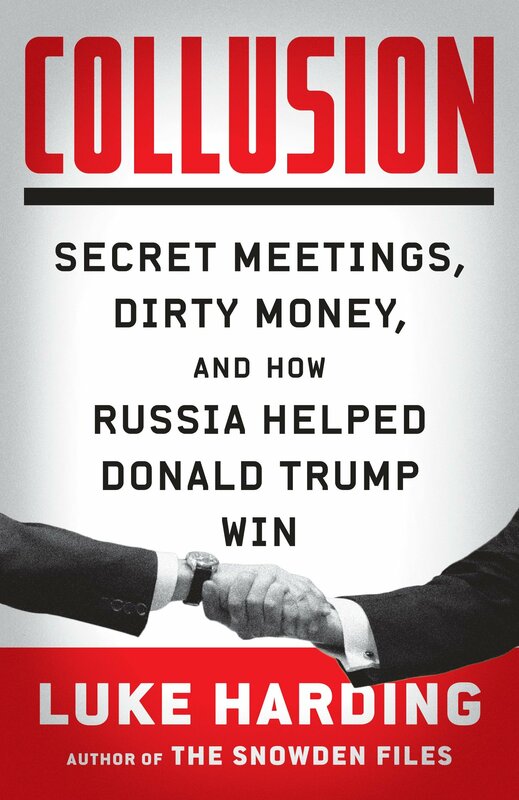 Two former U.S. government officials with knowledge of the way Putin operates said three of the oligarchs with whom Manafort had contacts – Deripaska, Dmitry Firtash, who helped finance the party behind Yanukovych, and Medvedchuk – were potential conduits with the Kremlin. No evidence has surfaced that Manafort used any of them to pass messages between the campaign and the Kremlin. During Manafort’s five-month tenure with the campaign, Russian emissaries made at least two behind-the-scenes offers to deliver “dirt” about Clinton to Trump’s campaign, including at a June 9, 2016 meeting in Trump Tower three weeks after Manafort was promoted to campaign chairman; he attended the meeting along with Donald Trump Jr., Trump son-in-law Jared Kushner and a Russian lawyer. Trump’s aides say nothing came of that discussion, or a similar offer conveyed in April 2016 to foreign policy adviser George Papadopoulos; Manafort was copied on an email relaying that offer, which said the Russians had “thousands” of emails from Democrats. In July, days before the Democratic National Convention, the British transparency group WikiLeaks began publishing thousands of embarrassing emails stolen from the Democratic National Committee. U.S. intelligence agencies have concluded that Russia was behind the hacking, and also was responsible for the social media dissemination of a blizzard of fake and harshly critical news about Trump’s opponent, Hillary Clinton. He certainly brought a pro-Russian proclivity to a campaign that already seemed to have one. 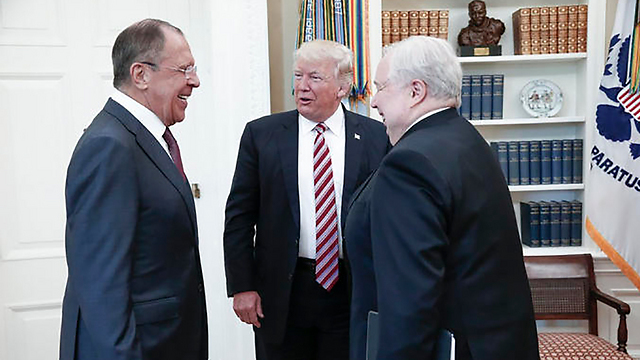 Whether he was attracted to the trump campaign or the campaign was attracted to him on the basis of his Russian contacts … he did bring those Russian contacts and pro-Russian prejudices with him to the campaign and apparently found a welcome environment there. Manafort first began to establish connections in Ukraine – ground zero in the geopolitical struggle between Putin’s Russia and the West – in late 2004. His reputation as a masterful political strategist and fixer was earned over decades hopping planes to the Congo, Philippines and elsewhere to advise authoritarian rulers friendly with the United States. 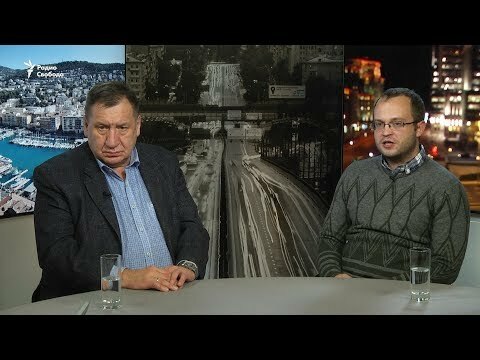 By the end of that year, the former Soviet republic of Ukraine was paralyzed by widespread protests amid allegations that Yanukovych, the prime minister in a government rife with corruption, had won the presidency in a rigged election. What became the Orange Revolution persisted until another, internationally monitored vote was held and rival Victor Yushchenko was declared the winner. Manafort and a partner formed Davis Manafort Partners Inc. in early 2005 and opened offices in Kiev. Manafort’s first client in Ukraine was Rinat Akhmetov, the country’s richest man and a key funder of Yanukovych’s Party of Regions. Deripaska introduced Manafort to Akhmetov, who hailed from Russia-leaning Eastern Ukraine. In the summer of 2005, Akhmetov tapped Manafort to help Yanukovych and his party in the 2006 elections, according to an American consultant based in Kiev, who spoke on condition of anonymity to avoid damaging relationships. The multimillion-dollar political consulting deal was sealed at a meeting in an elite Moscow hotel attended by Manafort, Akhmetov and a half dozen other wealthy Ukrainians. Manafort spent the next several years advising Deripaska, Akhmetov and other Ukrainian oligarchs and giving the gruff-talking Yanukovych a makeover down to his hair style and attire. Yanukovych won the presidency in 2010. In 2014, however, Manafort’s business took a hit when Yanukovych fled to Russia, days before Kremlin-backed forces invaded Eastern Ukraine. He was quickly hired by the Opposition Bloc, which leaned even more toward Moscow. He also said Manafort succeeded in pushing “a number of major initiatives that were strongly supported by the U.S. government and opposed by Russia,” including the denuclearization of Ukraine and the expansion of NATO exercises in the region. 138 The number of trips Paul Manafort took to Ukraine between 2004 and 2015 while consulting for Russian and pro-Russian oligarchs. Some former U.S. government officials, though, are skeptical. One of Shufrych’s and Oppo Bloc’s behind-the-scenes allies was Medvedchuk, who is so close to Putin that the Russian president is the godfather of his daughter. Details of Manafort’s contacts with Medvedchuk could not be learned. But Medvedchuk, who is under U.S. sanctions, has acknowledged meeting Manafort once in 2014. Several of the trips in Manafort’s flight records could draw investigators’ interest. In April 2014, for instance, Manafort traveled to Vienna. Ukrainian oligarch Firtash had been arrested there the prior month on U.S. charges that he helped orchestrate an $18.5 million bribery scheme involving the government of India, a U.S. firm and a Firtash company in the Virgin Islands. A former U.S. government official, who declined to be identified because of the sensitivity of the matter, said Manafort met with Firtash in Vienna, where he is awaiting extradition to the United States. Another Manafort trip that could interest investigators took place in July 2013 when Manafort and Kilimnik flew to Frankfurt on a private plane owned by Andrey Artemenko, a pro-Moscow Ukrainian legislator. American experts on Russia said privately they suspect the trip was a prelude to a broader Russian influence effort to dissuade Yanukovych’s government from signing an agreement to associate with the European Union. That decision, experts say, opened the door to Russia’s 2014 invasion of eastern Ukraine. This year, Artemenko was expelled from the Ukrainian legislature and his citizenship was revoked after disclosures he and a Trump attorney had pitched a “peace plan” for Ukraine and Russia widely seen as favoring Moscow. Some of Trump’s most remarked-upon statements about foreign policy that directly or indirectly implicated Russia occurred on Manafort’s watch in the 2016 campaign. 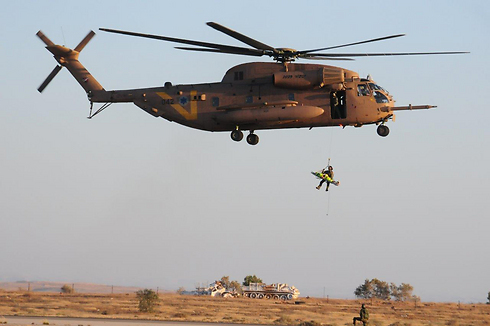 For example, Trump launched broadsides against NATO allies for not contributing enough money and suggested the United States might rethink its commitment to the European mutual defense alliance credited with deterring Russian military ambitions. Trump also raised doubts about whether he would stand behind U.S. sanctions that President Barack Obama imposed in December 2014 in retaliation for the Crimean invasion. As the GOP platform committee drew up party positions a week before the Republican National Convention, a plank calling for the United States to provide “lethal weapons” for Ukraine’s defense wasaltered in a controversial and mysterious move. The American consultant in Ukraine said that Manafort aide Kilimnik had boasted he played a role in easing the language to recommend only “appropriate assistance” to Ukraine’s military. Charlie Black, a onetime partner of Manafort’s, says he remains baffled by the change. In late July after FBI Director James Comey said he would not back prosecution of Clinton over her use of a private email server to conduct State Department business, Trump took a bizarre step. He publicly beseeched Russia to help unearth 30,000 emails that Clinton said she had deleted because they dealt with personal matters. Paul Manafort maintained ties to the Opposition Bloc party and Viktor Yanukovych’s former cronies, thus choosing to associate himself with crooks and kleptocrats rather than Ukraine’s pro-Western reformers. Mike Carpenter, senior Pentagon and White House official who specialized in Russia during the Obama administration. During the summer, a U.S. group supporting Ukraine asked both presidential candidates for a letter recognizing the country’s 25th year of independence since the fall of the Soviet Union. Clinton obliged. But the Ukrainian Congress Committee of America was unable to wrest a letter from the Trump campaign, said a person familiar with the matter. The group’s president did not respond to phone messages. Manafort resigned from the campaign on Aug. 19, 2016 after The New York Times disclosed a secret Ukrainian ledger indicating he was to receive more than $12 million in off-the-books payments from Yanukovych’s party from 2007 to 2012. Schiff said he found an intriguing symmetry between Trump’s Russia stances and Manafort’s work in Kiev that might explain their mutual attraction. Kevin G. Hall, James Whitlow and the Organized Crime and Corruption Reporting Project contributed to this story. Peter Stone is a McClatchy special correspondent. mikenova shared this story from White House Chronicle. Federal investigators probing the lobbying work of ousted national security adviser Michael Flynn are focused in part on the role of Bijan Kian, Flynn’s former business partner, according to a person interviewed by the FBI. Investigators are also looking at whether payments from foreign clients to Flynn and his company, the now-inactive Flynn Intel Group, were lawful, according to two separate sources with knowledge of the broad inquiry into Flynn’s business activities. That includes payments by three Russian companies and Inovo, a Netherlands-based company controlled by Turkish businessman Ekim Alptekin, they said. The FBI’s interest in Kian had not been previously reported. Kian played a central role in securing and overseeing the Inovo contract, two people with knowledge of that project said. It is not clear whether Kian is a target of the criminal investigation or whether investigators are trying to build a fuller understanding of how Flynn’s company operated. A person recently interviewed by the FBI in connection with the Flynn investigation said agents from the bureau’s criminal division had asked as much about Kian and his work on the project with Alptekin as they had about Flynn. Flynn’s lawyer, Robert Kelner, did not respond to requests for comment. Alptekin declined to comment for this story but last month told Reuters that he was satisfied with the work done by Flynn Intel Group and denied any wrongdoing. The FBI has been investigating whether Flynn’s consulting firm lobbied on behalf of Turkey—after being paid $530,000 by Inovo—without making the proper disclosure, Reuters reported earlier this month. The federal investigation is being run by special counsel Robert Mueller. Mueller has a mandate to investigate contacts between Russia and Trump’s 2016 election campaign team and any related matters. Flynn was fired by the Trump administration in February after officials said he mischaracterized a series of phone calls with Russia’s ambassador last December. 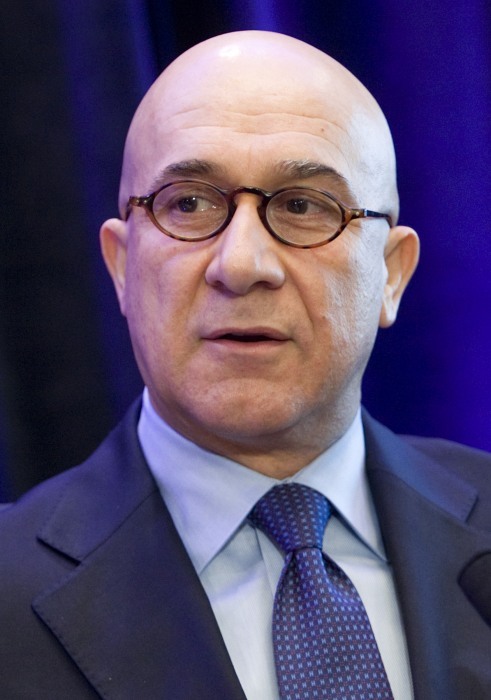 “I have an interest in Bijan Kian and his interactions with General Flynn based on specific documents already obtained by the committee,” Elijah Cummings told Reuters in an email. Alptekin told Reuters in May that his firm hired Flynn Intel Group to research Fethullah Gulen’s activities in the United States, which he suspected were “poisoning” relations between the United States and Turkey. Like Turkey President Tayyip Erdogan, Alptekin blamed the coup on followers of Gulen. Inovo paid Flynn Intel Group a total of $530,000, starting in September, according to a Justice Department filing by the company in March. Flynn Intel Group paid $80,000 to Inovo in “consultancy fees,” according to the filing, which does not provide more detail on why payments were made in both directions. On September 19, 2016, Kian and Flynn met in New York with Turkey’s foreign minister and energy minister, who is Erdogan’s son-in-law, according to a person with knowledge of the meeting. In late October Kian invited staff of the House Homeland Security Committee to Flynn Intel Group’s headquarters in Virginia. The meeting was called to show off new mobile-phone security technology, but Kian also used the opportunity to try to get a congressional hearing on Gulen, according to a person at the meeting. At that point, the Flynn Intel Group had only disclosed its work for Alptekin’s Inovo in a filing with Congress. It had not mentioned Inovo’s ties to Turkey. 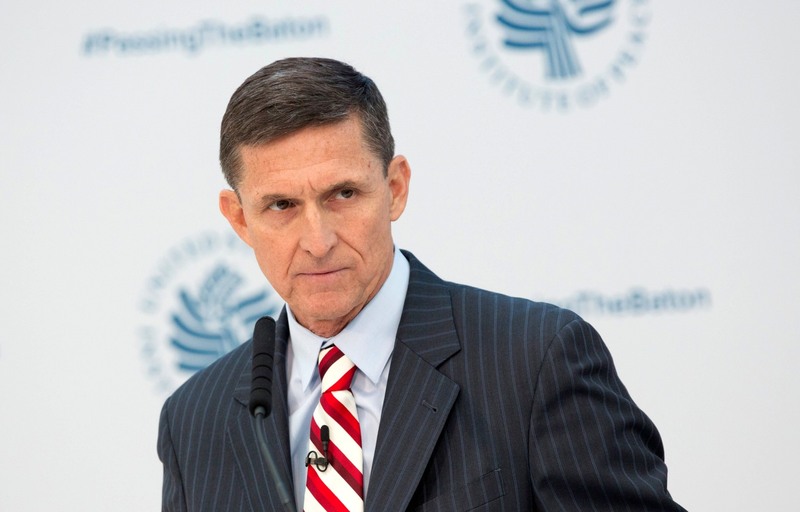 When Justice Department officials became aware months later that Kian and other Flynn Intel Group officials had met with Turkish officials, they insisted on a fuller disclosure, people involved in those discussions said. mikenova shared this story from Bijan Kian – Google News. 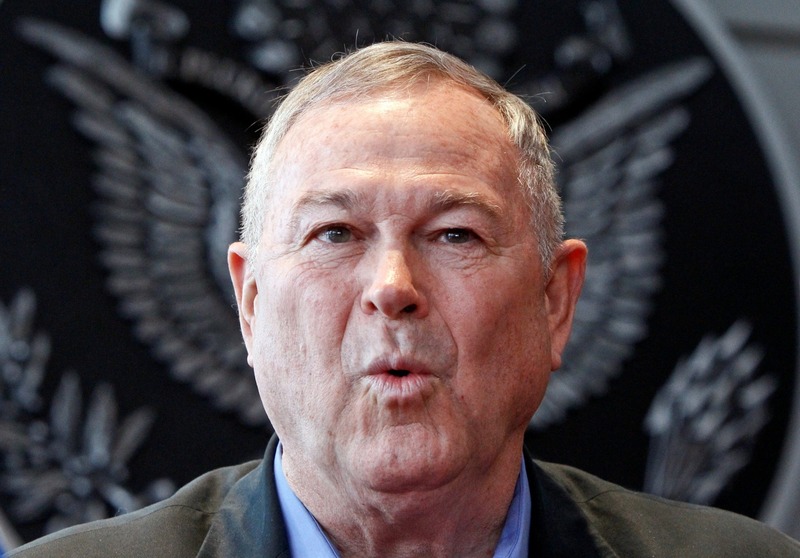 Rohrabacher, a California Republican, has pushed for better relations with Russia, traveled to Moscow to meet with officials and advocated to overturn the Magnitsky Act, the 2012 bill that froze assets of Russian investigators and prosecutors. The sources could not confirm whether Rohrabacher and Flynn discussed U.S. policy towards Russia in the alleged meeting. Flynn was fired after just 24 days as Trump’s national security adviser over misleading Vice President Mike Pence about his conversations with Russia’s ambassador to the U.S., Sergey Kislyak. Mueller’s team is interested in Kian’s role in the Inovo contract as well as foreign lobbying efforts that the Flynn Intel Group may have yet to disclose, according to the sources familiar with the investigation. Emails subpoenaed by the Special Counsel’s Office revealed a September 20, 2016, meeting between Kian, Flynn and pro-Russia Congressman Dana Rohrabacher. Kian previously served as a board member of the Export-Import Bank. 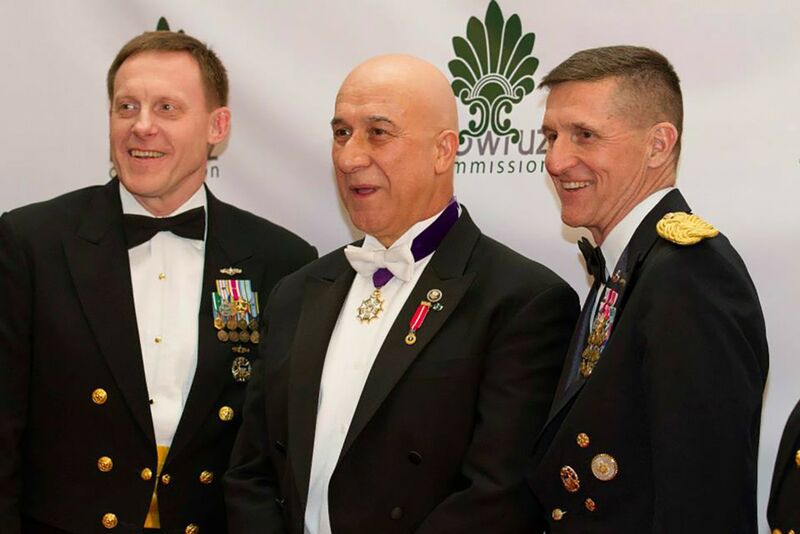 He is also a co-founder of the Nowruz Commission, a D.C.-based nonprofit that hosts an opulent annual Nowruz, or Iranian New Year, gala, which Flynn and Alptekin both attended in the past.